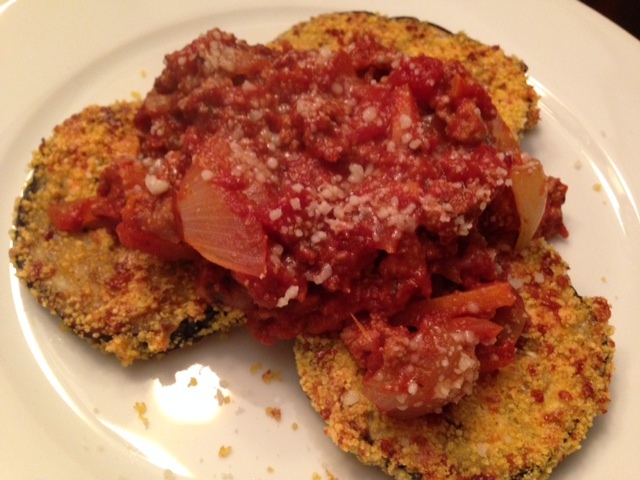 Gluten-Free Oven Roasted Eggplant Parmesan With Bolognese Sauce. 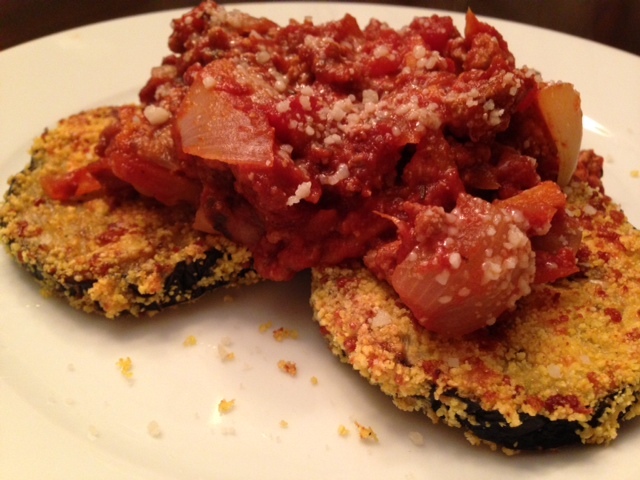 I love cooking with eggplant because it’s such a hearty vegetable and is so versatile. This recipe is great because it’s filling and satisfying but still fairly light. This sauce is delicious and can of course be served with pasta, but if you want to try something new (with a bit less carbs) you should definitely try it over this eggplant. 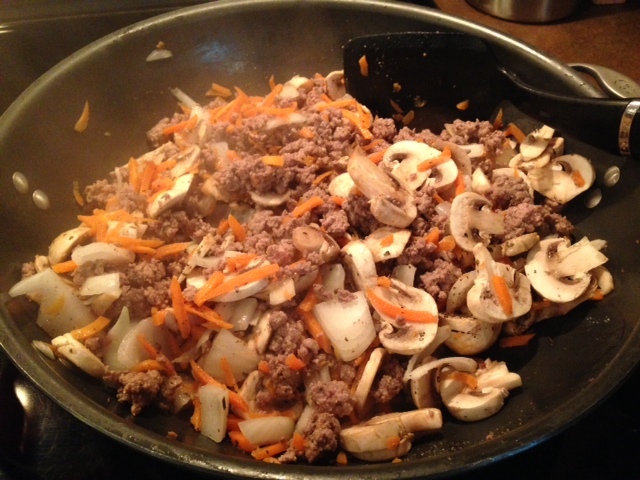 In a large pan, heat about 2 tbsp of olive oil on medium/high heat and add in the ground beef. Cook the beef until lightly browned and then add in the onion and carrots. 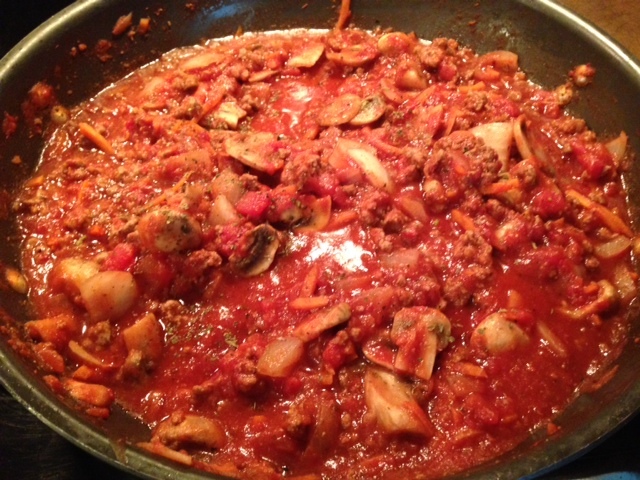 Cook for an additional 10 minutes or so, and then stir in the crushed tomato and tomato paste. Reduce the heat to low and season with the basil, red pepper, garlic powder, salt and Worcestershire sauce. Allow the sauce to simmer for about 15 minutes or so. Begin by breading the sliced eggplant. In a bowl, combine the bread crumbs and Parmesan cheese. In another bowl, add the eggs and whisk them. 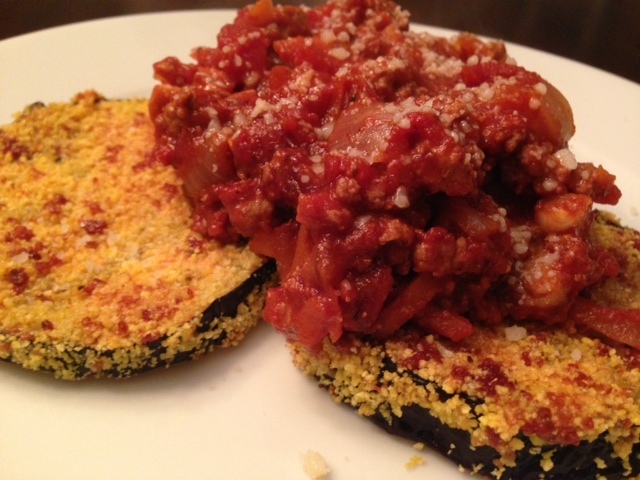 Place the eggplant into the bowl with the eggs and coat, then put directly into the bowl with the bread crumbs. 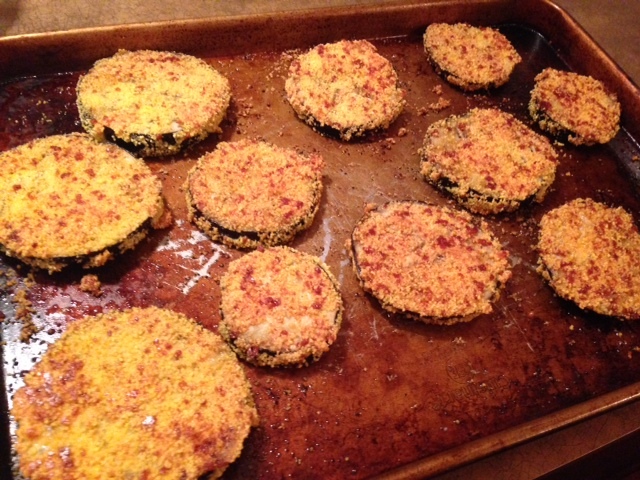 Coat a large baking sheet with ~3 tsp olive oil and then place the breaded eggplant evenly across. Bake in a 400 degree oven for about 15 minutes, then flip the eggplant and cook for another 15 minutes. The eggplant should be lightly browned and crispy. To serve, plate the eggplant and top with a heaping spoonful of the Bolognese sauce and sprinkle on some grated Parmesan if you’d like. ← Spinach & Artichoke Dip With A Kick.